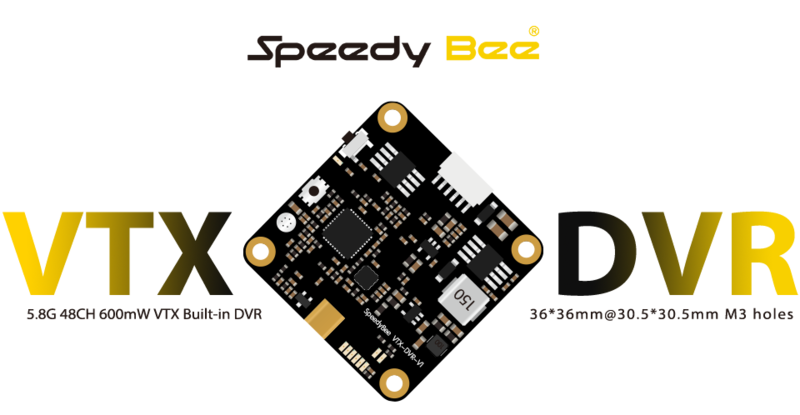 SpeedyBee has released 2in1 VTX-DVR unit. It is similar to HGLRC DVR-VTX unit, but with some differencies. This is 30.5×30.5mm mounting size board with Video transmitter and DVR unit in one. 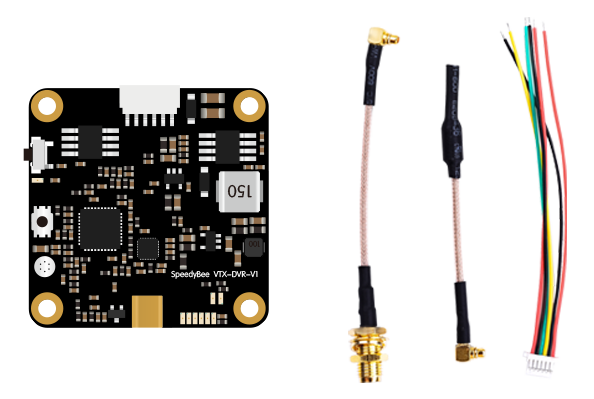 Video transmitter has Smart Audio ability, 25mW / 200mW / 600mW power levels, PIT mode and MMCX antenna connector. DVR is standart HMDVR-like unit, capable of recording 640×480 with 30/25 fps HTSC/PAL. There is also microphone on board, so DVR is also recording audio. No on board LED display, only the simple LED indicators for working modes, bands and onel led indicator for channels.